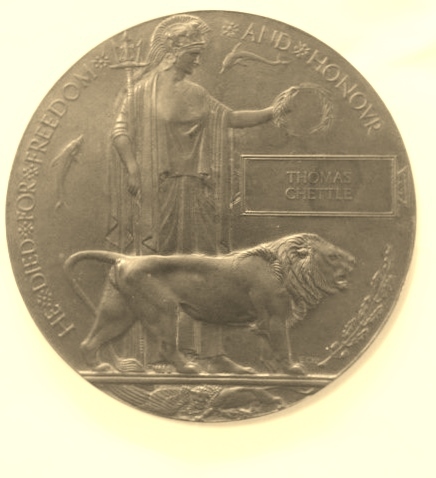 A ‘Dead Man’s Penny’ is just one of the few mementos John Thomas Chettle’s family have as a keepsake of their Australian soldier who fought in the Gallipoli Campaign during World War 1. 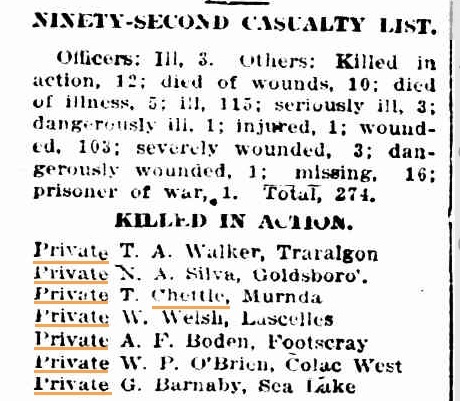 Like some 8,709 other Australian soldiers Private Chettle never made it home. 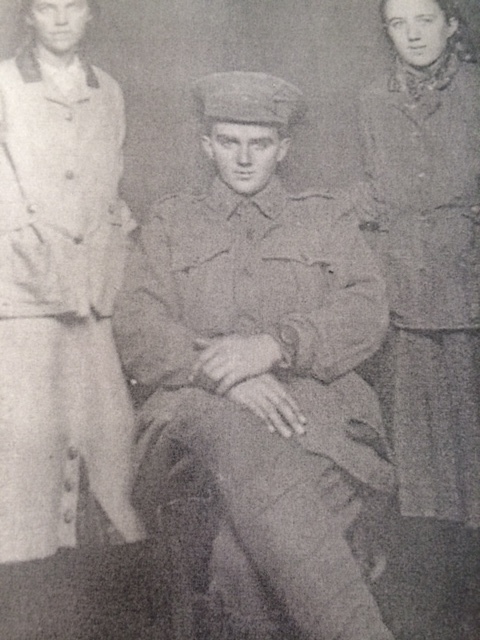 Private Thomas Chettle j with his sisters Sarah (left) and Gertrude (right). Photo taken between Oct 1914 – Feb 1915. picture supplied by Mark Wood from Chettle family collection 2015. Melbourne realtor Mark Wood said his grandmother kept the treasured memento of her uncle Thomas (as he was called), and though Mark has attended Anzac Day commemorations in the past out of respect for his great grandmother’s brother he says this years’ service is made special with the discovery that Thomas was killed at Gallipoli. “My great grandmother Florence never spoke of Thomas, as she was heartbroken when he never returned,” Mark explained. “Nan passed away last September. It wasn’t until I decided to research this that I discovered Thomas was killed at Gallipoli.” said Mark. “They were just boys and they didn’t get to live full lives and I often wonder what sort of person Thomas was”. 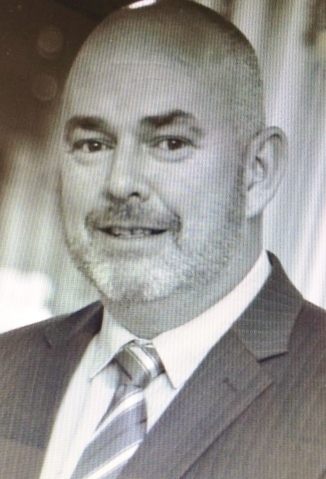 Packenham realtor Mark Wood is researching his great uncle’s Thomas Chettle’s ‘Dead Man’s Penny’. photos supplied by Mark Wood 2015. ‘Dead Man’s Penny’ was the nickname for a circular bronze plaque issued at the end of World War 1 to the next-of-kin of soldiers who had died serving with the British and Empire forces . Properly known as the ‘Next of Kin Memorial Plaque’ the 11-cm diameter plaques show Britannia and a lion on the front and bear the inscription “He died for freedom and honour”. The deceased soldier’s full name was engraved on the right hand side of the plaque debut but the soldier’s rank, unit or decorations were not depicted in acknowledgement that all men were made equal by death. 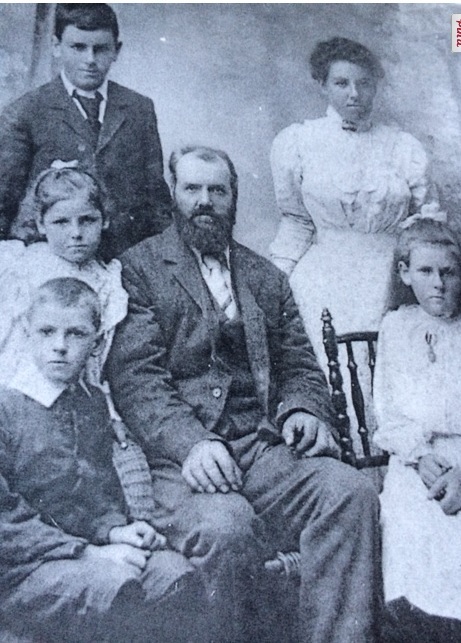 Thomas Chettle was born in 1892 at Bairnsdale in Victoria’s south east, the second youngest of 6 children born to William ‘Henry’ Chettle and Ellen Ann Jackson of Fernbank and Merna, and Mark’s great grandmother Florence was the baby of the family. Thomas Chettle’s war service record in the online digitised collection of Australia’s National Archives shows he joined up on the 28th of November 1914, and after barely two months of training at the battalion’s Broadmeadows training camp he sailed from Melbourne for Egypt on the 19th February 1915 aboard HMT Runic. Private Thomas Chettle of the 3rd Reinforcements 14th Battalion, A.I.F. photo courtesy of Mark Wood, 2015. Thomas’ older brother William ‘Harry’ Chettle had signed up a month after Thomas and followed him to Gallipoli where he served in the 13th Light Horse Mounted Regiment (57th Battalion). 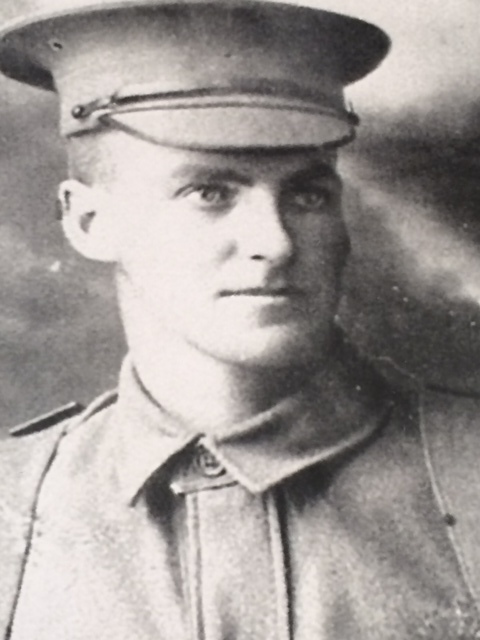 Malcolm Robert Bruce, a step-brother of Thomas and Harry also signed up in May and went to Gallipoli with the 7th reinforcements to the 4th Light Horse, and served also as Gunner in the 5th Field Ambulance (after the death of Thomas and Harry’s mother in 1897 their father had married Ann Bruce in 1912). Wanliss’s says the 14th ‘s casualties in Gallipoli and Egypt were the heaviest it suffered during any one of its four years’ service abroad, and consisted of 16 officers and 387 other ranks killed or died of wounds. 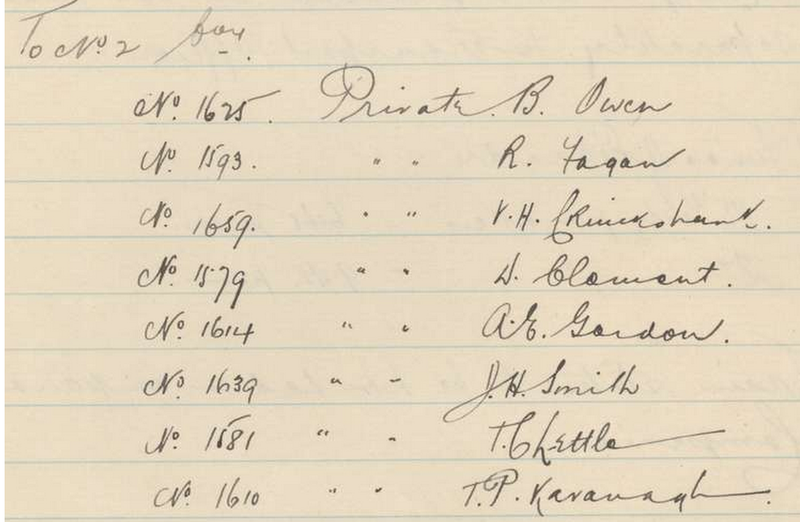 However the 14th Battalion War Diary held at Australia War Memorial records on the 22nd December 1915 only 4 officers and 370 others of the original 14th battalion were still present ( exactly 12 months from the day the battalion had embarked at Melbourne). Thomas Chettle’s unit arrived in Alexandria, Egypt on the 3rd of April 1915 (Wanliss, ibid) and the 14th’s War Diary (ibid) says the soldiers of the 3rd Reinforcements were divided into four groups of 35 men each (except the last which was nominated about 30), and then each group was assigned to one of the four companies of the 14th – 1, 2, 3 and 4. When the 14th had left Australia it had 8 company’s – A through to G, but in Egypt the remaining four were absorbed into the first four, and renamed 1 – 4 to align themselves to the British way of things. However the Unit Diary insists on naming the units by letters rather than digits, confusing historical research. Originally Thomas was assigned to the No 1 company when he first arrived, but after couple of days was transferred to the No 2 company, just prior to the 14th packing up camp on the 11th April and heading into Alexandria, to board the ships taking them to Lemnos Island off Gallipoli. Incredibly one man –a Private Rose of the 2 Light Horse – stowed away aboard the 14th main vessel just to get to the war front. (Unit Diary). The 14th Battalion was to take part of the landing on the 25th April but instead only one small party went ashore, as their troopship was required as a makeshift hospital where the decks soon ran red with the blood of the dead and dying brought back from the carnage of the Gallipoli landing. Under shrapnel fire 28 Officers and 900 others (rank and file) of the 14th Battalion went ashore in pairs of two and bivouacked on the beach on the 26th April. Fourteen weeks later Thomas Chettle lay dead somewhere in the scrub near Abdel-Rahman Bair. After the 14th landed they had a ‘bloody baptism’ of war in the five days from April 25 to April 29, moving toward Steele’s Post and Pope’s Hill (Wanliss, ibid) which the unit’s diary describes as being in Monash Valley. From May 1 to May 31 the 14th was assigned ‘Courtney’s Post’ from which to conduct their operations (with Quinn’s Post to the left, and Walker’s Position to their right). “Very strenuous work was put in digging and sapping, and many beach parties were supplied by the battalion. Disease here got a grip of the personal, and hundreds of men were evacuated sick, the continuous labour, monotonous fare, and shortage of water, with a complete lack of recreation or rest, completing the work commenced by myriads of flies, which poisoned and contaminated the food,” (Wanliss, p.82). On the 11th of July the 14th attended a three day training missive at the Allied rest camp Kephalos, on Imbros. Lectures were given on “platoon attack’ and ‘battalion attack” and the unit received further arms training, with a few hours off in the late afternoone each day for bathing. All the while a political battle was waging about whether the Gallipoli campaign should be continued. “In August a tremendous but unsuccessful effort was made by the Expeditionary Force to get astride the Peninsula and open up the Narrows. The 4th Brigade was set the task of making a night march into the heart of the enemy’s territory, and then in cooperation with a new expeditionary force at Suvla Bay to attack and capture Koja Chemen Tepe, the key to the Turkish position. “The expected support of the Suvla Bay force failed to materialise, and the 4th brigade found the task without cooperation beyond its powers. On August 8 the 14th was cut to pieces, losing on that day alone upwards of 100 killed, including a large number of officers and non-commissioned officers.” (Wanliss, ibid). 92nd Casualty List showing Thomas Chettle K.I.A. source: Colac Reformer, Oct.16, 1915. TROVE, NLA. On the 5th of August the men of the 14th had been ordered to wear white armlet bands on both arms and a white patch on their back (rear of the right shoulder) for the coming operation, and on the 6th August ‘24 Officers and 938 others’ moved off behind the 13th Battalion. After establishing themselves in position early on the 7th August each company was allotted ground, and constructed trenches and during this time 1 officer and 7 others were killed (including Thomas Chettle) and 2 men were missing. In the washup after the battle that took place on the 7th and 8th of August neither Thomas Chettle nor fellow soldier Jim Booley’s bodies were ever recovered. They remain “unknown soldiers” in eternal slumber in company with an estimated 8,709 Australian soldiers who paid the ultimate sacrifice during the April 25th 1915 – Jan 8th 1916 Gallipoli Campaign of World War 1. Fernbank Honour Roll. source: Every Week (Bairnsdale, Vic. 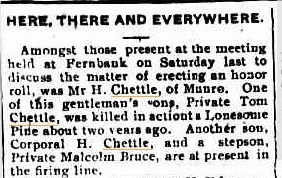 : 1914 – 1918), 12 July 1917, p.6, TROVE, NLA.